Have you ever ruined an appetizer? We can relate! Cooking mishaps happen to best chefs in the world — even Martha Stewart once ruined a Thanksgiving turkey! Home cooks can just sweep their little mistakes under the rug (and call for delivery immediately) but if you just happen to be a celebrity with a big Instagram following, those cooking mistakes may get a whole lot of attention. Case in point? Reese Witherspoon’s recent attempt to make a classic appetizer went horribly wrong ... but her mistake is totally relatable because, duh, it's Reese! “That one time I failed miserably at making my famous Baked Brie," the actress posted along with a picture of an exploded cheese wheel. "Instead I made it explode. It happens people." 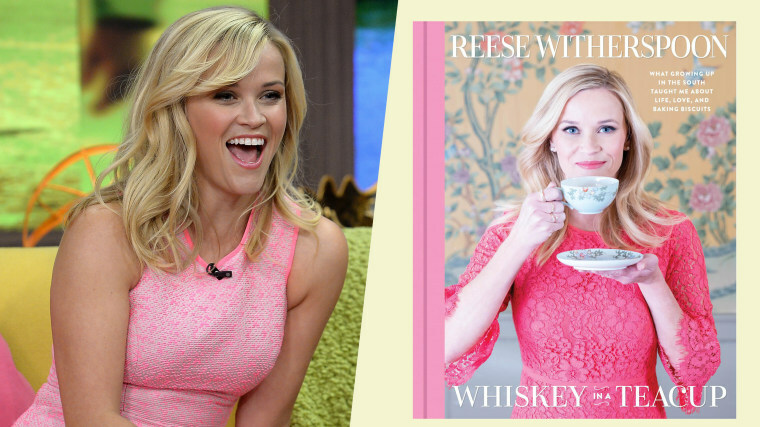 The fail is slightly ironic considering that Witherspoon actually just released a lifestyle book (that also features recipes) called "Whiskey in a Teacup: What Growing Up In the South Taught Me About Life, Love and Baking Biscuits." And, yes, the book does feature the recipe for her "famous Baked Brie" so maybe she skipped a step or left in a little too long. Luckily for Witherspoon, who also posted the cheesy fail on Twitter, she had a big cheering section of fans on social media there to give her moral support in the face of her cooking fail. One woman's exploded Baked Brie is another woman's cheesy dream. OMG it's a lake of cheese - what's not to love?! Of course Witherspoon isn’t the first actress to dabble in the kitchen on social media. Jennifer Garner has been whipping up plenty of homemade specialties on her Barefoot Contessa-inspire "Pretend Cooking Show." We've seen her making everything from fish sticks to homemade bread. The actress even won the seal of approval from Ina Garten herself! For the record, we'd still totally eat Witherspoon's baked brie. Doesn't all that melted cheese on the pan just make it easier to scoop up?